Almost half of high earners surveyed in the North West are concerned about the plight of future generations, according to new research commissioned by Canaccord Genuity Wealth Management. It revealed that worries over social care and care home funding, macro economics and tax issues were set to hit inheritances for future generations. The Wealth Confidence Tracker, conducted by YouGov, found 47 per cent believe the next generation will have a worse standard of living than they have had, versus just 19 per cent who think it will be better. Leyton Hunt, Blackpool branch manager at Hargreave Hale, a Canaccord Genuity Group company, said: “While savers in the North West are generally positive about their current financial circumstances, much of this confidence evaporates when looking to future generations. “Our research highlights a number of very legitimate concerns about inheritance, which can be mitigated by a good financial plan. 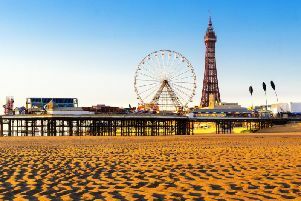 Blackpool weather forecast: Temperatures soar today but will Blackpool get even hotter?